If the roots of your neighbor’s tree are causing damage to your property, what legal rights do you have? Unfortunately, it depends on where you live. On Sept. 14, 2007, the Supreme Court of Virginia reversed its longstanding position by holding that where a neighbor’s tree causes actual harm or poses an imminent danger of actual harm to an adjoining property, the tree owner “may be held responsible” for this harm. 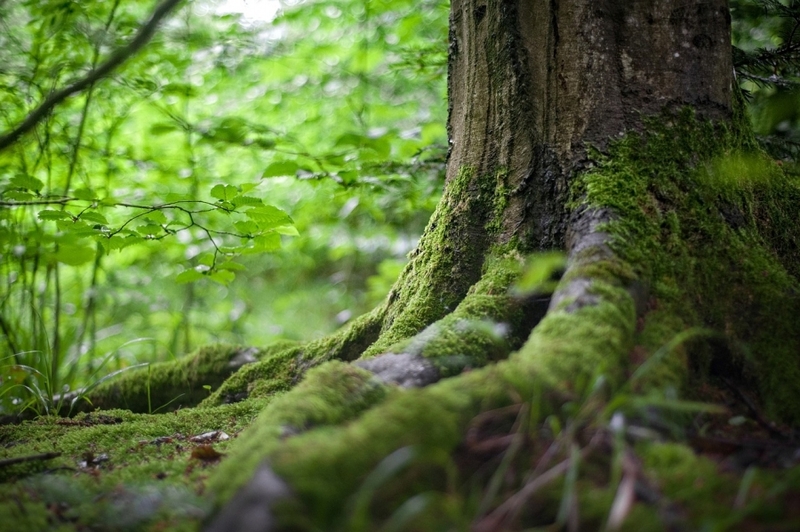 Prior to this, Virginia followed what is commonly referred to as the Massachusetts rule, namely that a property owner’s right to protect his property from the encroaching roots and boughs of a neighbor’s tree is limited to self-help. In other words, the property owner has the absolute right to trim the branches and cut to roots — but only on his own property. He cannot enter onto the tree owner’s property, and he cannot sue the tree owner. To my knowledge, every state in the Union allows a property owner to exercise this self-help. However, some courts have modified this by holding that if self-help causes the neighbor’s tree to die, the tree owner must be compensated by the person who cut down the branches or the tree roots. The Restatement rule: The American Law Institute — a prestigious organization composed of lawyers, judges and professors — periodically issues “restatements of law” on various topics. While such statements are not legally binding on the courts, they do assist lawyers and judges in understanding and interpreting cases. In the Restatement of Torts, promulgated in 1979, it determined that the tree owner has an obligation to control encroachments when vegetation is artificial — i.e. planted or maintained by a person — but not when the encroachment is natural. In other words, if you planted your tree, and it causes damage to your neighbor, you may be financially responsible for this damage. Most states rejected this theory, simply because it is often impossible to determine whether a tree is “artificial” or “natural.” If you just moved into your new home, you have absolutely no way of knowing the origin of your trees. In Fancher, the Virginia court carefully considered all of the various rules, and decided to “join the growing number of states that have adopted the Hawaii approach.” Several reasons were provided by the court. First, it strikes an “appropriate balance” between the competing rights of adjacent property owners. Second, the court wanted to make sure that frivolous, vexatious lawsuits would be discouraged, while at the same time not precluding a homeowner from recovering where serious damage has occurred. Mr. Fancher’s damage included displacement of a retaining wall between the two properties, blockage of his sewer and water pipes, and impairment of the foundation of his house. Fourth, the other rules in existence — including its own rules — were unworkable and difficult to understand and apply. What does this all mean for a homeowner who is confronted with damage to his or her property caused by the neighbor’s tree? Once you get a written report from your arborist, and assuming that it shows a potential danger, send a copy to your neighbor. Depending on your relationship, I would first approach the neighbor and explain your concerns, and show him or her the report. But if your neighbor is obstinate and insists that, “the tree will stay,” then you should consult an attorney knowledgeable about real estate and tree law. Depending on what state you live in, you may be able to sue the neighbor seeking an injunction, which would require him to remove the tree. If you can demonstrate actual damage to your property as a direct result of the tree growth, many judges will also award you actual damages, based on the legal theory of “private nuisance.” So, for example, if the neighbor’s tree caused $5,000 in damage to your garage, if you can prove this damage, the court may also give you a judgment in this amount. But litigation is always time-consuming, expensive and uncertain. More importantly, since we follow the “American rule” on attorneys fees, which means that in the absence of a statute or a written agreement each side pays his or her own lawyers, it is doubtful that a court will award you legal fees, even if you win the case. Of course, if you are in a state that still adheres to the Massachusetts rule, and if you want to take the case all the way to your Supreme Court, there is always the possibility that your court — like the recent Virginia Supreme Court case — will recognize that times have changed and will adopt a more homeowner-friendly rule of law.